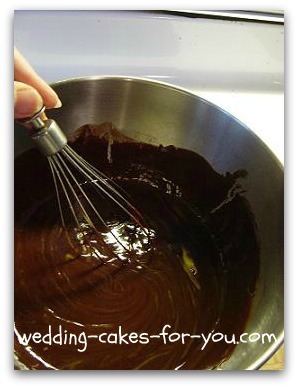 The best chocolate mousse recipe for a chocolate wedding cake. This recipe has been with me for 25 years and it never fails to please a crowd. 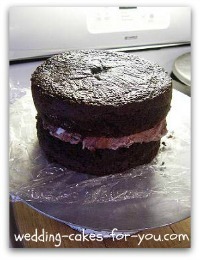 It makes enough to fill two-2 layer 8 or 9 inch cakes with leftovers. 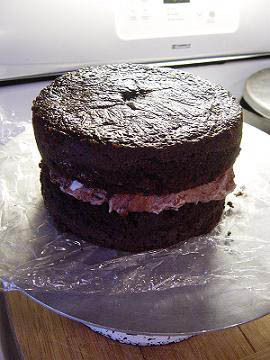 This is also the perfect amount to fill one-2 layer 12 inch cake. 1 stick of unsalted butter (4 ounces) in a double boiler or hot water being careful not to get steam into the chocolate mixture. Stir as you are melting it and then remove it from the heat to cool a little. 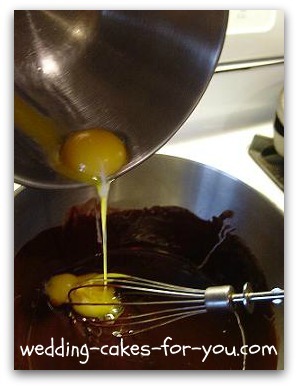 Add the egg yolks one at a time to the cooled mixture and blend. 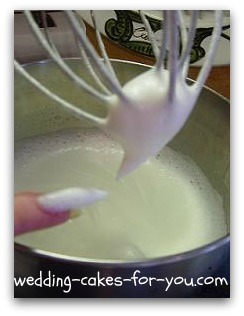 Place the 3 egg whites in a CLEAN bowl and whip with 1 Tablespoon of the sugar to medium soft peaks. make sure that your bowl and whip are grease free or the whites will not beat properly. In another bowl whip 3/4 -1 cup heavy cream with 1 Tablespoon of sugar and the 1/2 teaspoon vanilla. Beat until the cream hold it's shape. Add the whites and fold in carefully. Do not over mix it. You should see streaks of the cream and the egg whites within the chocolate. If you over mix it it starts to break down and becomes a gooey ugly mess. 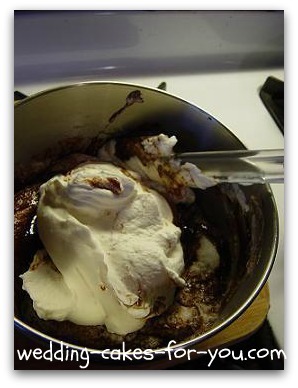 Next fold the cream into the chocolate, but do not over mix. You should stop before it's fully mixed. 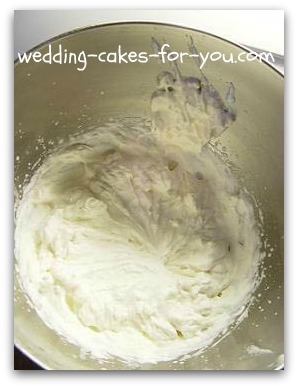 Be careful not to over work the mousse when you put it on your cake layer. Be gentle with it. You want it to remain fluffy and light. 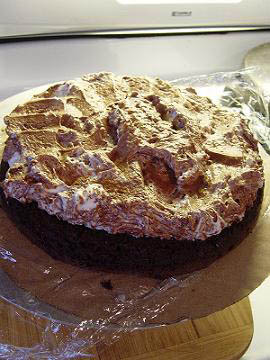 Place the second layer on top, wrap it well with plastic wrap and then refrigerate or freeze the cake until you are ready to crumb coat and frost. 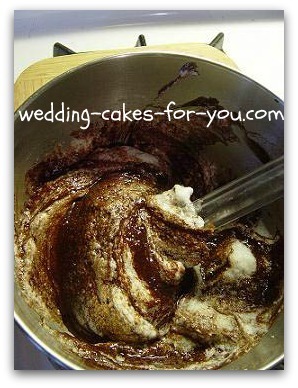 For a wedding cake it is simply the best chocolate layer cake recipe that I have found.